Drive Diameter Range	1" - 8"
Max. 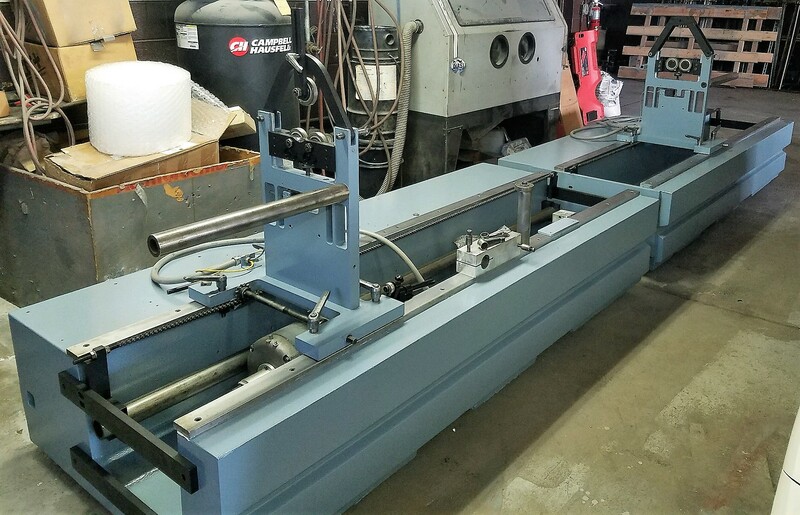 Diameter between Stanchions	36"
Part diameter at bearings	1/2 - 4-1/2"
Working Length between Supports (infinite using 2-bases)	5" - 80"
Workpiece Center Height above Floor	44"
The Hines Industries Model HC-1000 Balancing Machine Is A Computer Based, Dynamic (Two Plane) Or Static (Single Planes) Manual Load, Single Station, Balancing Machine Configured For Balancing Crankshafts. The Balance Mechanism Uses A Rugged Hard Suspension HC (Cradle) System To Support The Weight Of The Workpiece And Tooling. The Stanchions Are Mounted On Heavy Duty Steel Rails. The Stanchions Are Movable To Accommodate Parts Of Varying Length. The Base Is Made Of Concrete For Stability And Mass. 28" x 96" x 24"H Base. (2) Adjustable Hard Suspension Cradles. Base Mounted Integer. 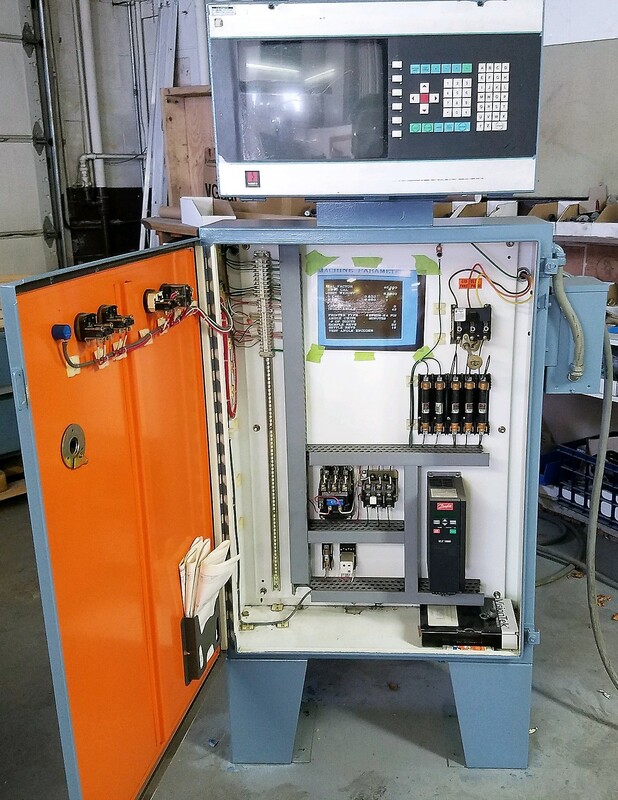 Variable Speed Underslung Drive With Lovejoy Variable Speed Drive. 28" x 96" x 24" Auxiliary Base For 16’ PLUS Length Capacity. parts but, as is, it will balance a part that is 16 feet long. Part is driven by a belt. Single and two plane capability. Unit has encoder so it will display angle of unbalance. Unit is wired 440 but I believe we could wire it 220 3 phase. 1000 LBS. CRADLE TYPE BALANCER, HARD BEARING , 16' SPLIT BASE,SINGLE OR TWO PLANE, ELECTRONIC CONTROLS..REFURBISHED AND GUARANTEED.